Chris Aldren is an adult and paediatric ENT surgeon based in Windsor. He is internationally known as an expert ear surgeon and has a particular interest in stapedectomy for otosclerosis and ossiculoplasty for hearing restoration. Chris did his undergraduate medical training at Gonville and Caius College, Cambridge University and then at The Royal London Hospital. His early ENT training was at The Royal National Throat, Nose and Ear Hospital and The Royal Marsden Hospital both in London. He then trained in Newcastle and Brisbane, Australia where he was a visiting fellow. 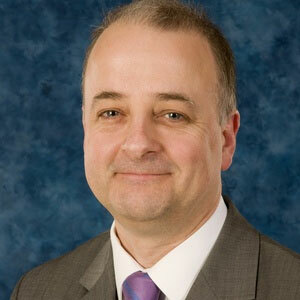 He was appointed consultant at Wexham Park Hospital in 1997 where he has developed his interest in ear surgery. Chris sees patients with all ENT conditions but has a specialist interest in hearing restoration for both adults and children with surgery ranging from grommets to more complex cases. He has particularly expertise in the treatment of otosclerosis, cholesteatoma and other causes of hearing loss. Chris runs a highly rated international course in ear surgery at Wexham Park each year since 2000. He is in great demand as a speaker throughout the world with recent lectures in France, Slovakia, Hungary, The Netherlands, Spain, Saudi Arabia, India and Brazil. He also travels demonstrating live surgery. In 2010 he was the invited surgeon for the Indian Society of Otology annual meeting where he demonstrated live surgery for 1000 ear surgeons. For 4 years he transmitted his surgery live every week to students in the Netherlands. He is the immediate past President of LION, the Live International Otolaryngology Network. This is a grouping of the world's leading ear surgeons, who transmit their surgery live via the internet to teach other surgeons and inform the general public. Access is open to everyone for free at www.lion-web.org. Chris is the President Elect of the Royal Society of Medicine Section of Otology. He was the President of the British Society of Otology from 2016 to 2018. He is the immediate past President of LION the Live International Otolaryngology Network www.lion-web.org, which is a grouping of the world's leading ear surgeons. He has been operating on the network and moderating their international meetings from Utrecht since 2008. He was the academic secretary for BACO 2009 (British Academic Conference in Otolaryngology) the biggest UK meeting in ENT and has organised their otology programme for the 2018 meeting. He is the UK representative for CEORL_HNS (The Confederation of Otorhinolaryngological and Head and Neck Surgical Societies) and the new editor of the otology section of Scott Brown's textbook of Otolaryngology. Chris is a member of the European Academy of Otology and gives an instructional lecture on otosclerosis and stapedotomy at their biannual meetings. In 2014 he organised the first British Scandinavian Otology meeting in Windsor. In 2018 he will lecture in France, Switzerland, Poland, Sweden and India. Chris is involved in research and audit in all areas of ENT and helped develop an international ear surgery database www.ondb.org. He is currently helping to write European guidelines on stapedectomy and the management of otosclerosis for the European Academy of Otology and Neurotology. Outside of medicine Chris has 3 professional musician children and is a keen violinist playing in the European Doctors Orchestra. He is on the advisory council of the London Philharmonic Orchestra.